Like all of Pixar’s teaser trailers, the first preview for The Good Dinosaur is all about mood, emphasizing a distinct feeling over characters and plot. But as the title implies, it’s really all about dinosaurs. Colorful, adorable dinosaurs who, thanks to director Peter Sohn and the Pixar braintrust, aren’t wiped out by an apocalyptic asteroid 66 million years ago and live on to have all kinds of adventures. Take that, science! What the teaser doesn’t tell you is that The Good Dinosaur follows an Apatosaurus named Arlo, who finds himself separated from his family. On his quest to rejoin his pack, our hero encounters a young human, whom he quickly adopts. Yes, this is a weird “boy and his dog” story where the boy and the dog happen to be a dinosaur and an early human. What the teaser also doesn’t tell you is that this movie had a very troubled production, with original director Bob Peterson stepping down in 2013 when the story underwent massive revisions. However, this is not the first time Pixar has radically altered a project that wasn’t working. Don’t take that as a negative sign – take it as a sign that the geniuses at the greatest American animation studio know when to hit pause and fix a problem. It remains to be seen how the story of The Good Dinosaur will play out, but the animation on display here is (unsurprisingly) stunning. The dino characters are colorful and exaggerated, but their environments seem photo-realistic and gorgeously rendered. Watching how these more cartoonish designs interact with an all-too-real world could be wonderful. 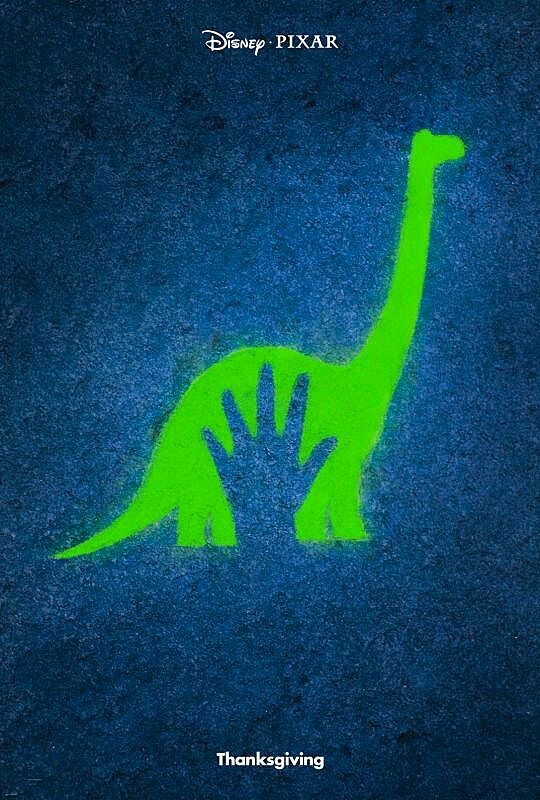 The Good Dinosaur is set to open on November 25.